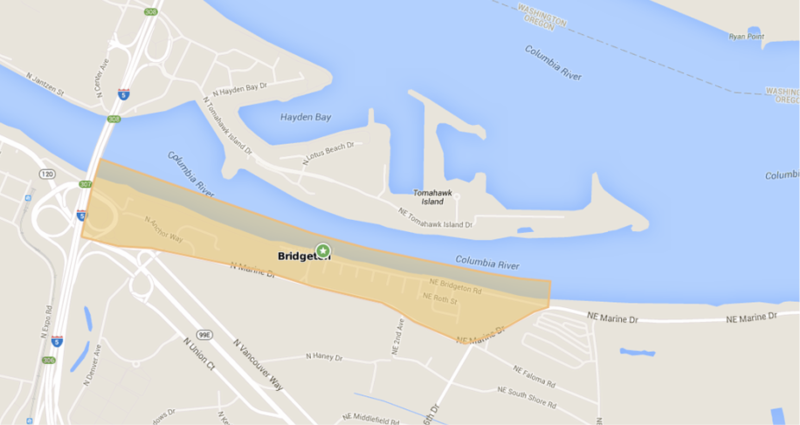 The Bridgeton Neighborhood Association is organized for the purpose of addressing issues affecting the livability and quality of life in this unique neighborhood and to provide a forum through which all members of the neighborhood may involve themselves.The Bridgeton Neighborhood is located on the south shore of the North Portland Harbor from the I-5 freeway east to NE 13th Street. Livability is unique because the neighborhood includes several floating home moorages, boat marinas, high and low rise condominiums, upscale apartments complexs, row houses, individual homes and a variety of businesses. The Bridgeton Neighborhood Association board meets every month on the second Tuesday at 6:30. Everyone is welcome to attend board meetings. Meeting location will be published prior to the meeting. Bridgeton is just fifteen minutes from the Portland International Airport, twelve minutes from downtown and has easy access to I-5 freeway. It is located in the heart of a number of recreational activities including golf, boating, auto racing and event facilities such as the Portland Expo, the Portland International Raceway and the Delta Park sports fields. The Portland 40 mile bike loop also passes throught the neighborhood.